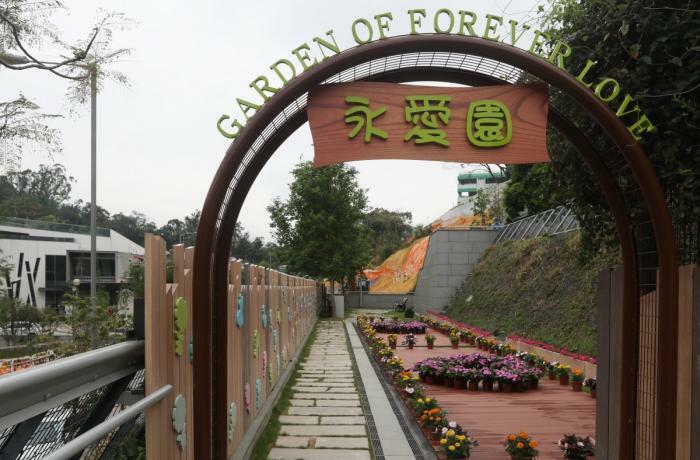 The "Garden of Forever Love" was inaugurated two days ago. Unborn under 24 weeks were previously classified as clinical waste and sent to landfills. Before, there were only two realities that offered these services. Hong Kong (AsiaNews / Agencies) - The Hong Kong government has opened the first public structure for the burial of unborn babies, lost or aborted before reaching the 24 weeks of development. The "Garden of forever love " (photo) was inaugurated two days ago, to respond to the growing demand for a public place for the respectful preservation of funerary urns. Located in Fan Ling, in the New Territories East region, the structure is surrounded by flowers and has space to accommodate 300 remains, flower stands and signs, as well as a wall for commemorative plaques. Free funeral services are also offered. Previously, there were only two realities in Hong Kong that offered these services, but both are private: one is reserved for Catholics and the other for permanent residents of Chinese ethnicity. The local Department of Food and Environmental Hygiene states that the burial site was erected because "we understand the concerns and anxieties of parents who may have difficulty organizing a proper burial or cremation" of their unborn child. In the past this was a complicated process, because fetuses under 24 weeks did not meet the requirements for death certificates or cremation permits. Therefore, they were classified as clinical waste and sent to landfills.